This lanyard bead from TiSurvival is made of copper with high polished blue anodized titanium ridges. It has a large 1/4 inch diameter hole. 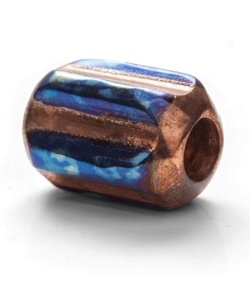 Whether you use this bead on a knife, flashlight, or zipper pull, it adds a special touch to your personal belongings. First off, yes, the titanium is purple in some areas - it's kind of a strange patterned ano with 40% purple and 60% blue for me. 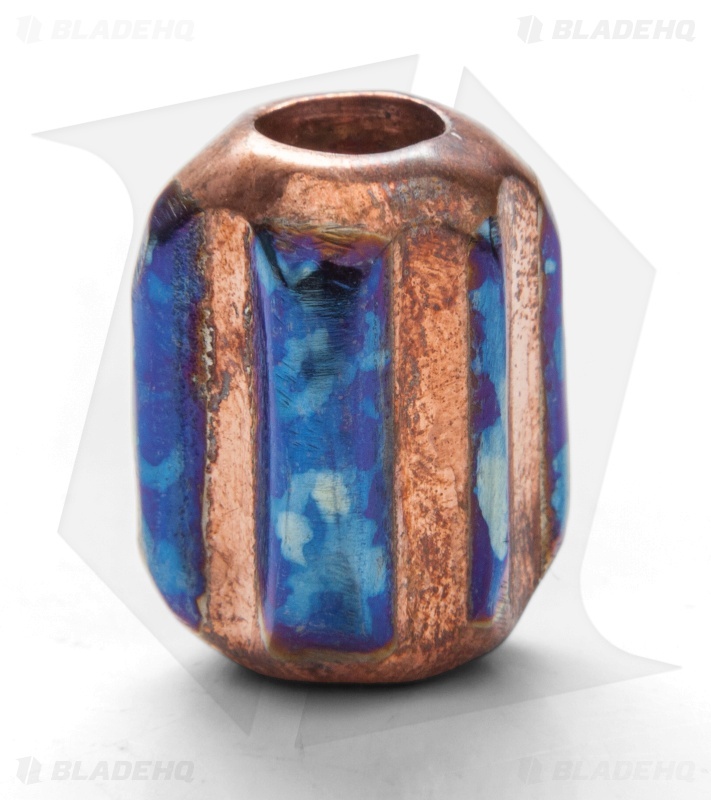 The copper has a really nice patina on it, but still retains a mirror polish - it's also roughly 40% green, and 60% polished copper. Great looking, interesting bead, and to me it's more appealing than even timascus / mokuti and the like. Pay for Blue, I expect Blue. For mine the Blue is actually Purple. Not enough heat. Looks, nice, but for the money I do expect to get the right color the first time. May buy another because it is still a nice piece, but I'm gonna have to see if I can Blue it myself.